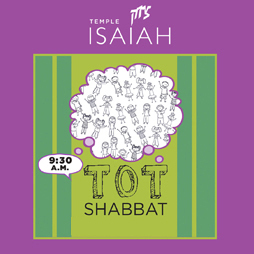 Tot Shabbat is designed for families with children ages 0-7 and marks the beginning of a family’s journey towards integrating Shabbat into their lives. Following services join us for Arts and crafts, food and schmoozing on the deck. Dress for a bit of mess! Each preschool class hosts a service through the year.